Green Apple: This familiar fruit, full of natural nutrients, vitamins and minerals, keeps hair healthy and encourages strong hair growth. 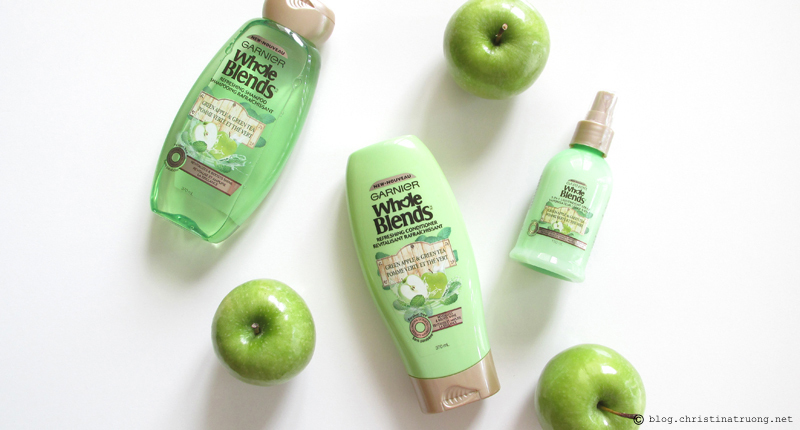 Refreshing Shampoo: I absolutely loved the smell of the shampoo, truly a refreshing scent of green apple with a hint of green tea. Just a small amount, the shampoo lathered nicely without a lot of foam build up. My hair felt clean and smooth after rinsing but before applying conditioner. Refreshing Conditioner: The conditioner also has a really nice green apple scent with a hint of green tea, quite refreshing. The conditioner lathered and rinsed off efficiently. It left my hair feeling clean, fresh, and smooth. 5-in-1 Lightweight Spay: Just like the shampoo and conditioner, this silky-light formula has a crisp, fresh fragrance of green apple and green tea - which stays on your hair for a couple of hours. I really liked how it made my hair feel: The spray instantly softened, detangled, protected, lightly conditioned and primed my hair. Overall, the experience of Whole Blends was great, my hair felt clean, healthy, soft, and tangled-free! The green apple and green tea scent really gave it a refreshing feel. And the scent sure reminds me of a green apple candy, yum! But no worries, it does not leave a lingering scent. 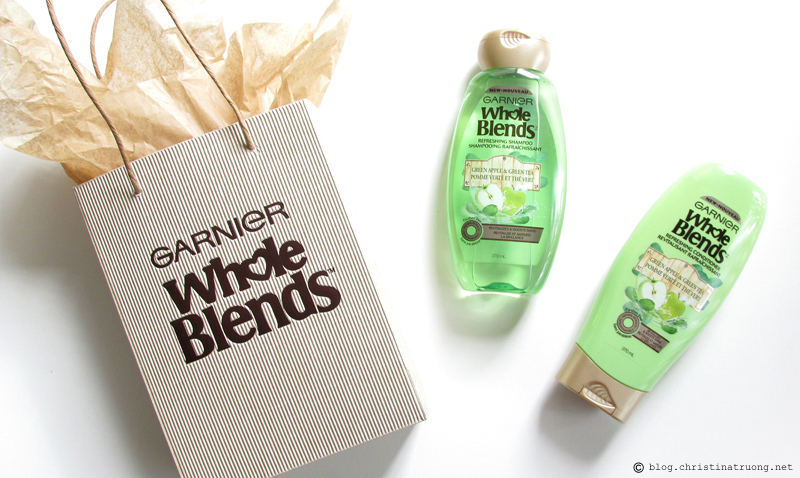 If you are in the market to try a new refreshing haircare routine, I recommend giving Garnier Whole Blends a try! Preservation of the Environment: Made with recyclable PET with 30% post-consumer recycled waste. Produced in a facility committed to sustainability, reducing its waste & water consumption per unit by approximately 58% and 47% respectively, since 2005. What do you think of Garnier Whole Blends? Will you be giving these wholesome products a try?